Shortly before Christmas, I was asked to be one of the Finalist Judges for the Cert Clean Beauty Awards and since then, I've had the pleasure of trialling a bunch of natural deodorants. With three weeks of judging left to go, I thought I'd share my thoughts on one of the brands that I've been using. 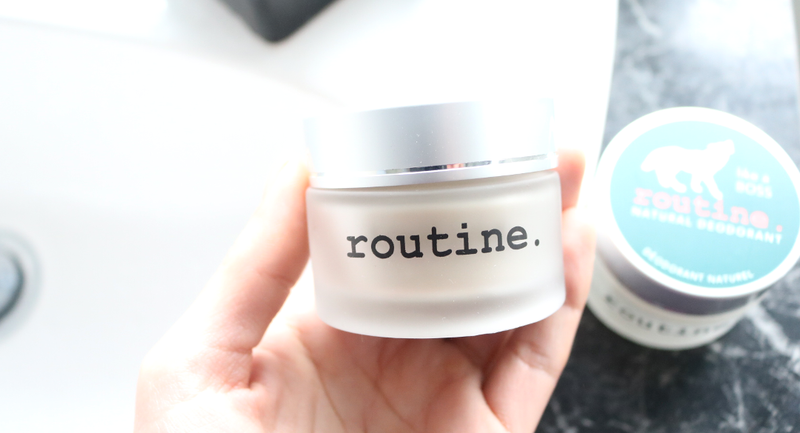 I hadn't heard of the Canadian brand Routine before and when I saw their cute packaging for the first time, it instantly grabbed my attention. They specialise in cruelty-free, natural cream deodorants that come packaged in glass jars which is brilliant for the environment. 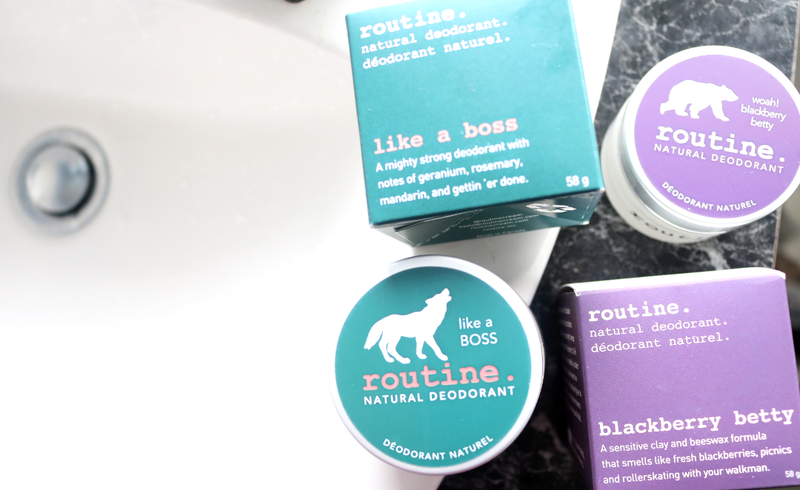 All of the products are made at the base of the Canadian Rocky Mountains by two sisters who share the same ethical practices, and with Routine having such a wide and varied range of deodorants available in numerous fragrances and formulas, I was very keen to try them out. But I know what you're thinking - are they actually any good? The short answer is yes. They're very, very good in fact! I was sent two natural deodorants from Routine to judge; Blackberry Betty and Like A Boss - both of which I like for different reasons as you'll soon discover below. If you have sensitive skin and you're into sweet, fruity berry scents, Blackberry Betty is a must-try. Most natural deodorants that I've tried from other brands have had a very typical 'clean' or floral fragrance, so it was exciting to try out something different which was so wonderfully fruity! Made with a formula that's designed to be gentle on sensitive skin, this deodorant contains the likes of Coconut Oil, Magnesium, Kaolin Clay, Arrowroot Powder, non-GMO Corn Starch, Baking Soda, ethically sourced Beeswax, Shea Butter, Olive Oil, Vitamin E, Cocoa Seed Butter, and a carefully chosen selection of Organic Oils such as Blackberry, Raspberry, Citrus and Vanilla. This combination of natural ingredients yields a deodorant which is effective at keeping body odour at bay, moisturises and nourishes the delicate underarm area, and makes you smell like you've been walking through a dewy patch of fresh blackberries - yum! I love using Blackberry Betty as it feels so gentle and it's particularly great for days when I'm not exercising or running around doing lots of errands. 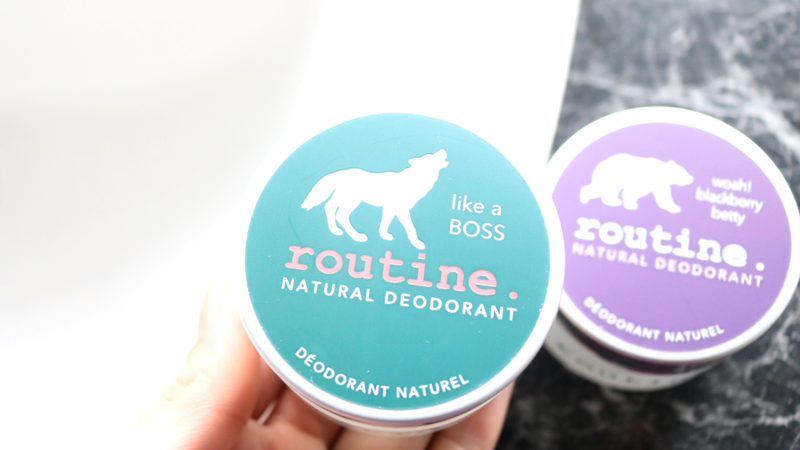 Like A Boss, on the other hand, is definitely for those busy days where you're rushing around doing a million things and have no time to worry about your deodorant! This is one seriously hardworking deo which has a clean and ultra-fresh, unisex friendly fragrance. With similar base ingredients to Blackberry Betty above (you get all of the gentle hydration and powerful sweat absorption properties from Coconut Oil, Kaolin Clay, Corn Starch, Arrowroot Powder, Beeswax, Shea Butter, Vitamin E and more), Like A Boss is different as it has much stronger essential oils blended into the mix such as Geranium, Rosemary, Mandarin, Spearmint and Lavender, to keep you fresher for longer, so it's perfect for the gym and my sweaty HIIT workouts! With both of these natural cream deodorants, a little goes a long way as you only need to rub a pea-sized amount into your pits in the morning and you're good to go for the rest of the day. With this in mind, one of these jars will last you around 3-6 months depending on whether you need to reapply after exercise/workouts etc, so they're good value for money if you're looking to switcher a more natural alternative with good ingredients.